Did you know there's a commonality between East and West with regards to the day we presently find ourselves living through? I could have phrased that better were I not slightly delirious from a long day. I could have also baked a chocolate cake with salmon chunks, or written a recursive algorithm to solve an iterative problem, but I don’t hear you saying those. Think about that for a moment… do you realise how ridiculous your assertions sound? The name is derived from Old English Wōdnesdæg and Middle English Wednesdei, "day of Wodanaz", ultimately a calque of dies Mercurii "day of Mercury". In Japanese, the word Wednesday is 水曜日(sui youbi), meaning 'water day' and is associated with 水星 (suisei): Mercury (the planet), literally meaning "water star". Similarly, in Korean the word Wednesday is 수요일 (su yo il), also meaning water day. Water star sounds quite beautiful. 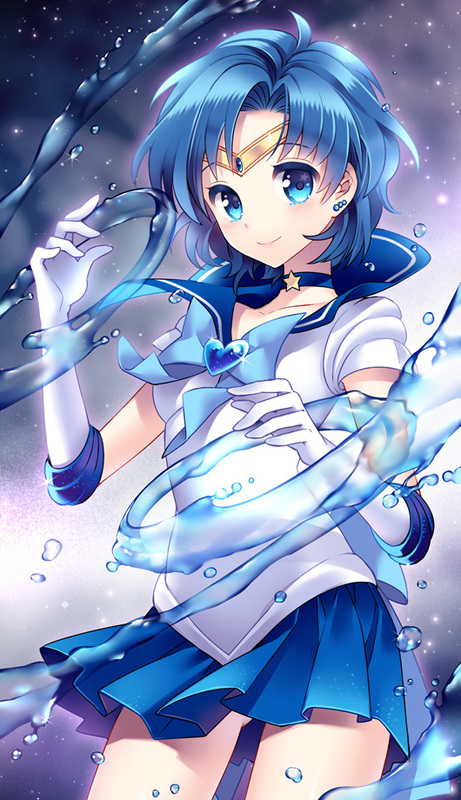 As an illustration of both mercury and water, the above Pixiv image by Nardack of Sailor Mercury manipulating the aforementioned aqueous solution is included. I knew I'd get an excuse to post an image of my favourite Sailor Senshi again one day.